Finaly my long awaited Leap Motion pre-order arrived so I decided to see what I could do with it. After playing with some of the demo programs I noticed on there was a Processing library on the leap developer site (can be found here). 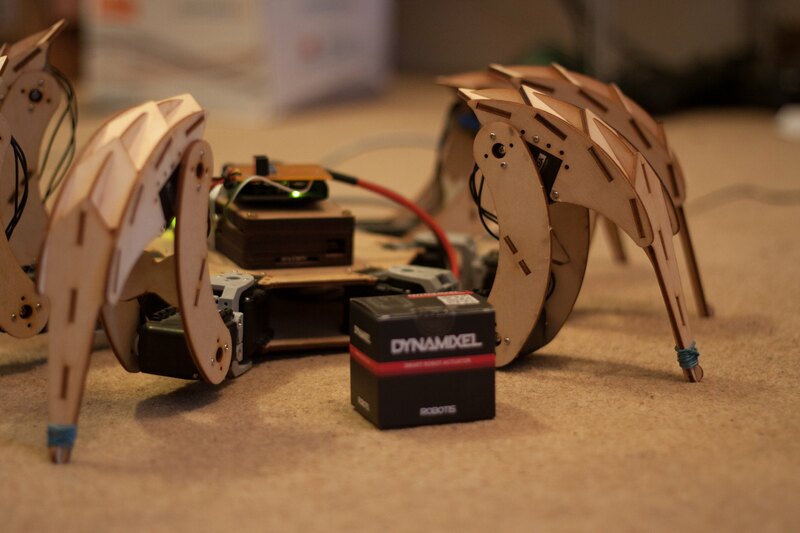 The control program for my hexapod is already written in processing so adding the leap was relatively easy. 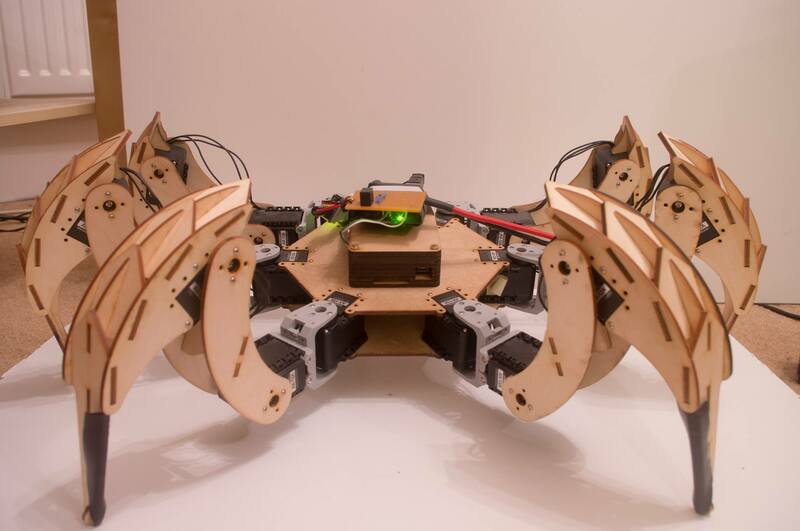 All I have done currently is map x, y, z, yaw, pitch & roll of the users hand onto the body of the hexapod. 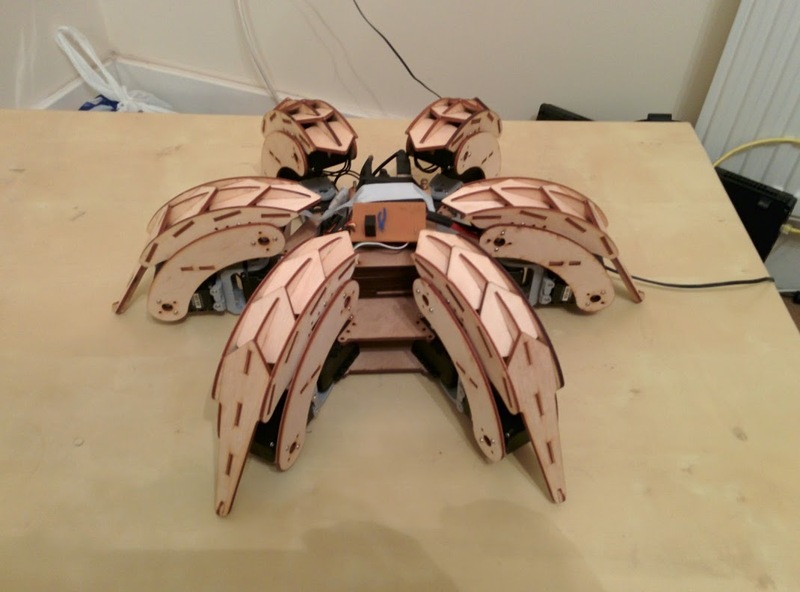 The smoothing and inverse kinematics are then done and sent to the hexapod over TCP/IP. 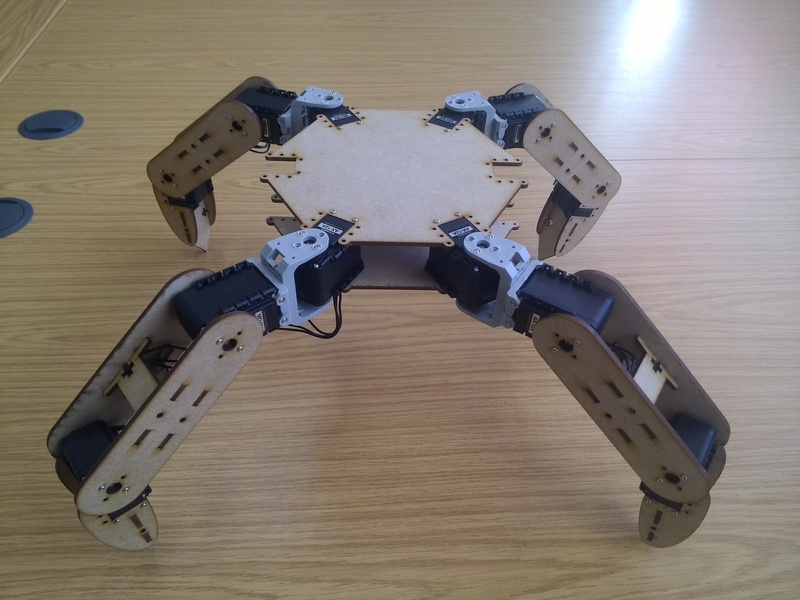 Raspberry Pi on the hexapod receives this with a python script and outputs the values to the servos. Hand tracking with the Leap is enabled or disabled by a key tap gesture with any finger. Turning the Leap control on and of is done by a seprate function which runs when a gesture is recognised. 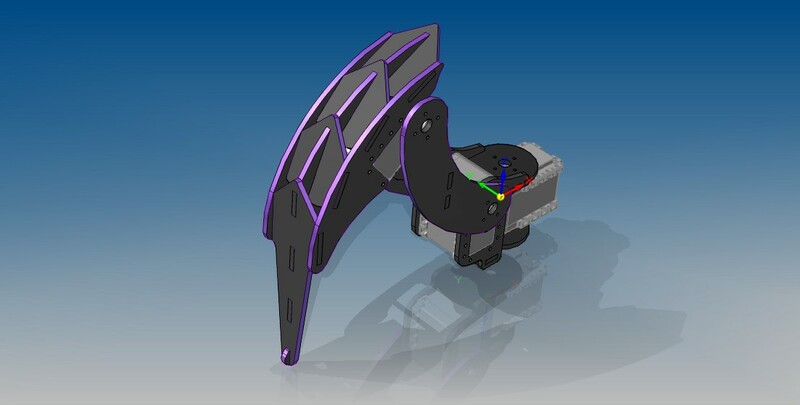 On Friday i decided to start designing a rough chassis for the hexapod. I only wanted something quick so that i would have something to test with then my controller arrived. 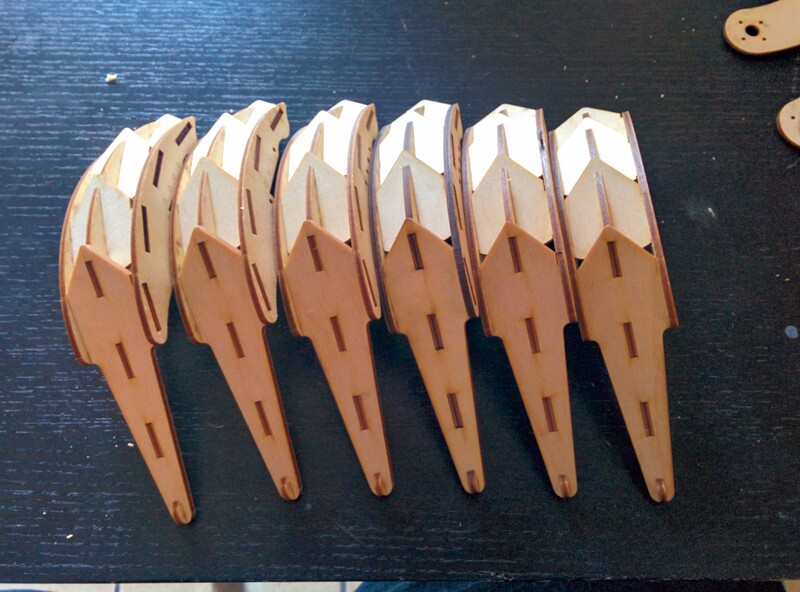 I was able to design and laser cut these parts within only a couple of hours. 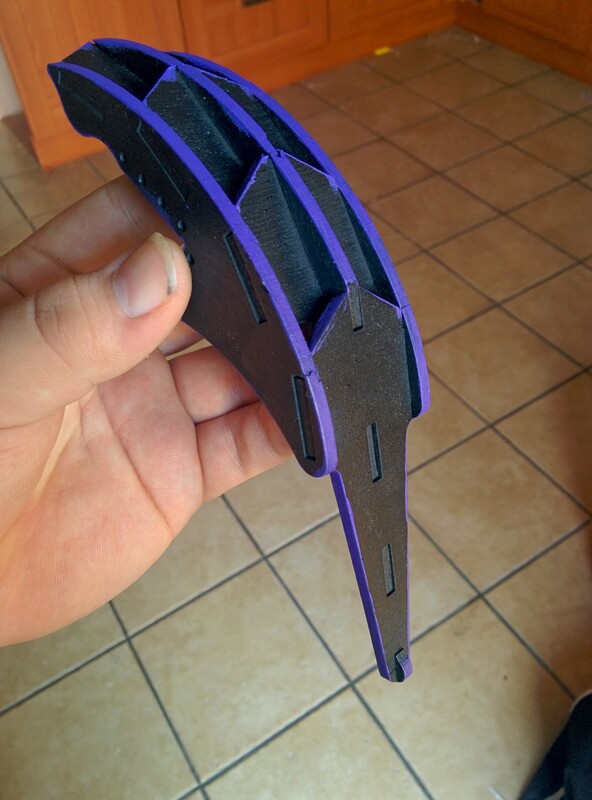 The parts came out really nice for a quick prototype and also cost less than £1 in material. This morning i had time to finish assembling the parts and attaching the servo’s (the ones that i have anyway). I have already found things i want to change in the next version but that was kind of the point of this. 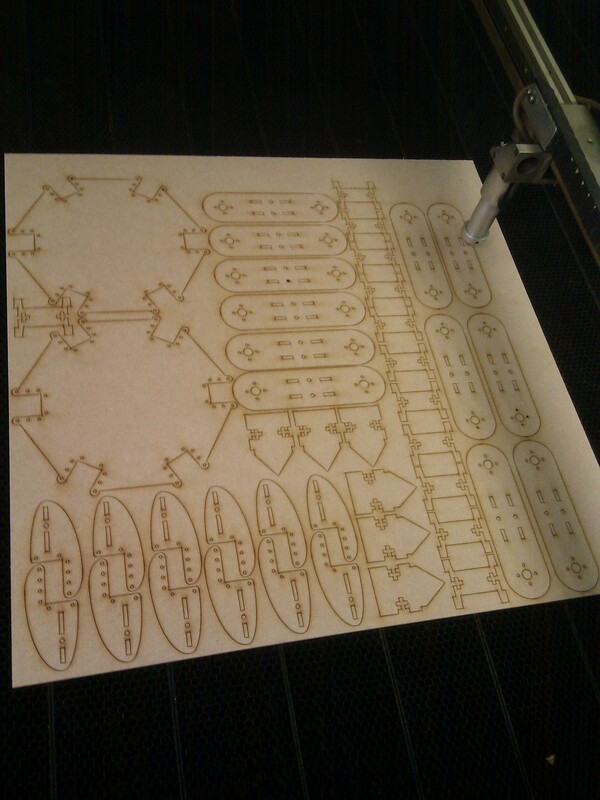 having a prototype to test with allows me to make more informed decisions about the final design. I am very pleased with how this has turned out and cant wait to get controller and servos for the other 2 legs. 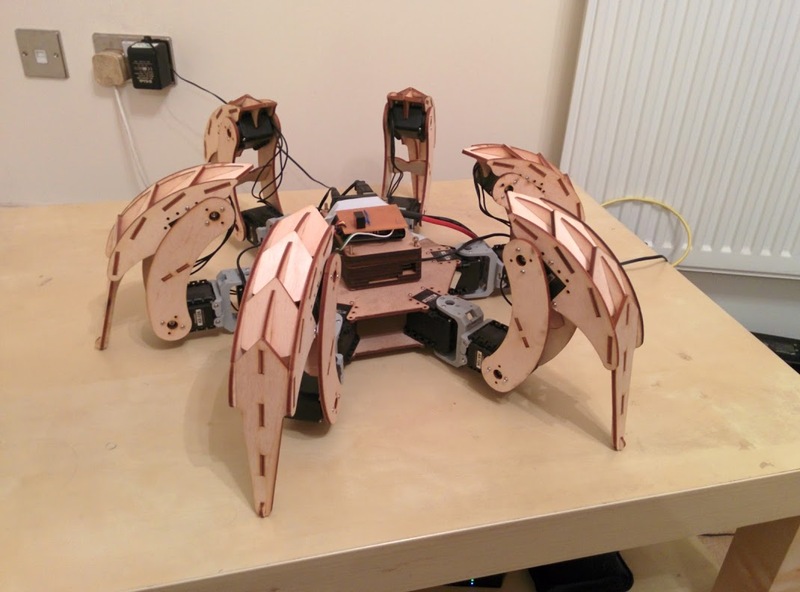 This year I am on placement at the Bristol Robotics Lab and I am doing a project involving a Hexapod. 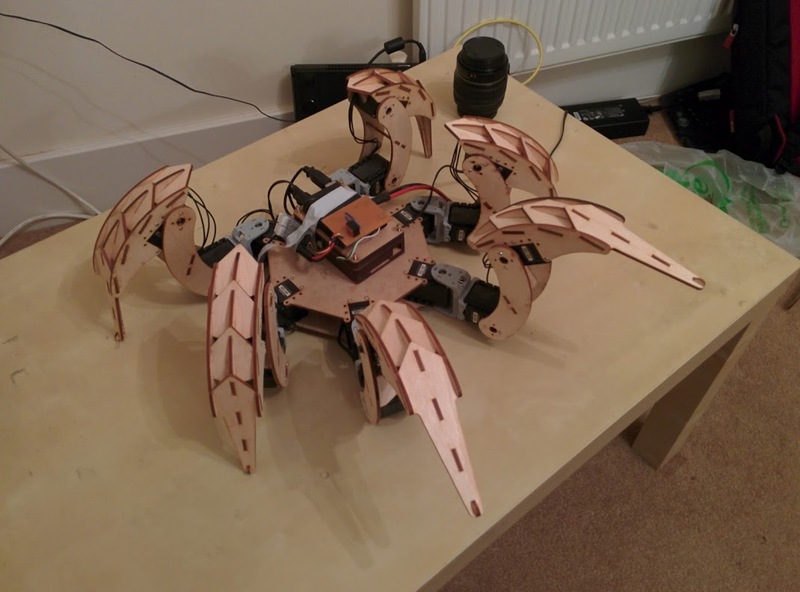 As nearly all hexapod kits are extravagantly expensive I have decided to build my own to best suit my project. 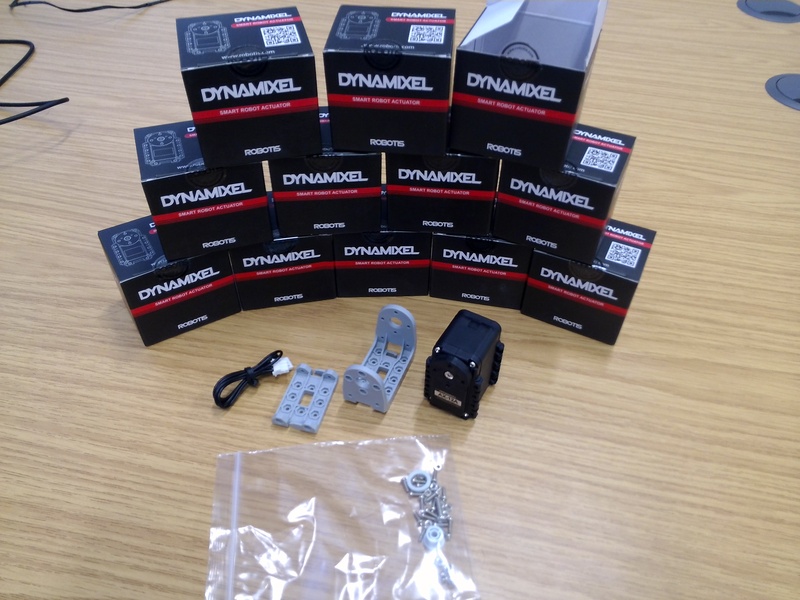 I was very happy Today to find that the first 12 of my AX-12A robotics servos have arrived 🙂 shame there are 6 and the controller missing however i guess at least i can start measuring up and designing now.